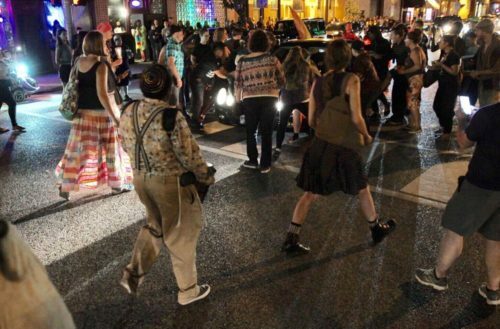 During a vigil for the death of a transgender woman on Wednesday, a car drove through protesters on the streets of The Grove in St. Louis. Only minor injuries were reported. The driver is still on the loose. The vigil was for Kenny “Kiwi” Herring, a 30-year-old trans woman of color who was shot by police outside an apartment building on Tuesday. Herring died on the scene. She reportedly leaves behind a wife and three children. 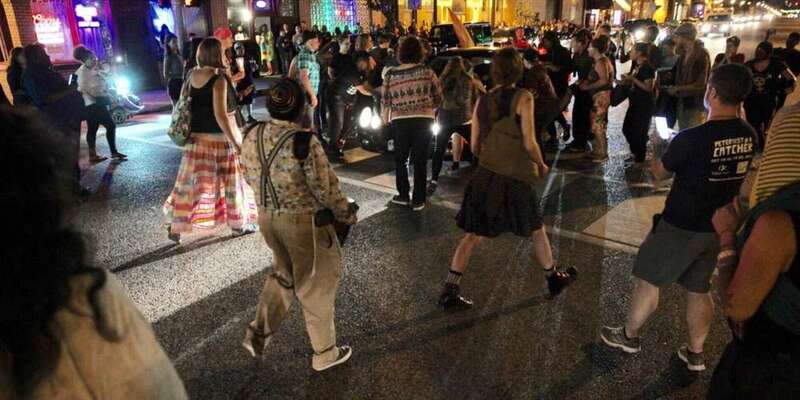 About 100 people attended the candlelight event Wednesday evening and several staged a protest march down one street. Friends dispute the police’s account that she was armed. They also claim cops continually misgendered Herring and rushed to judgment about the situation. Jones said Herring was excited Monday night about a barbecue she was planning for her friends.